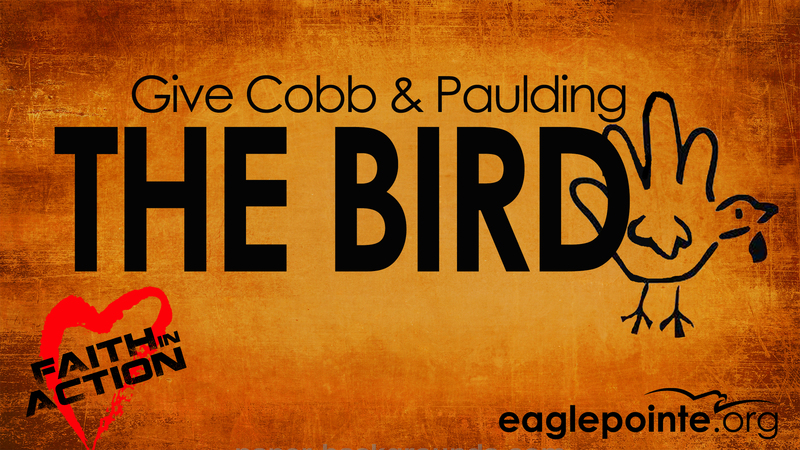 Give Cobb & Paulding the Bird! In addition to collecting for our Winter Survival Kits for the Homeless during November & as part of our Faith In Action Day on Nov. 22 – we are going to provide Thanksgiving Meals for 50 – 100 struggling families. We’ve got 3 weeks to pull this off & in order to make this happen, some mountains need to be moved very quickly. Please talk with all of your friends, co-workers, boss, etc & help to round up sides & desserts, and/or donations to help purchase Turkeys. 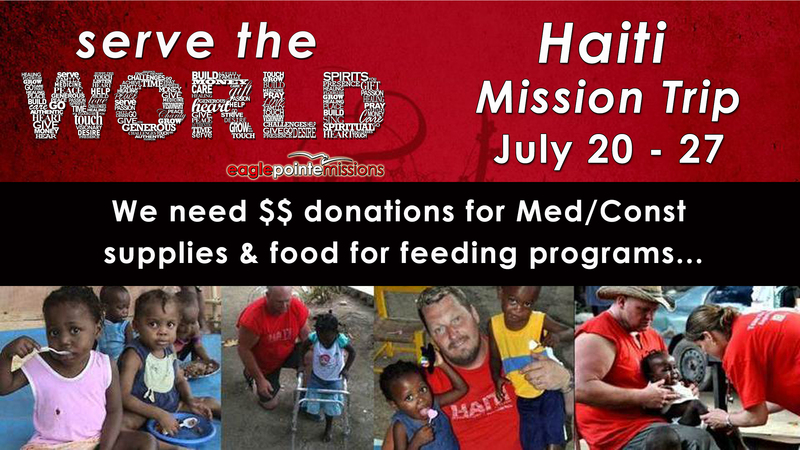 I’m still nailing down details, but please CLICK HERE for more info on this effort. I cannot wait for this day when we have a few hundred people working at a children’s home near red top mountain, doing mini-home improvement makeovers for single moms in our area, working at a Children’s Home, & doing some projects around our church. In, addition to YOU joining us for Faith in Action Sunday – I hope that you will invite your friends, neighbors, & co-workers to come join you. Get them involved in helping others & making a difference in our community. A church doing this kind of thing does not compute for most people & blows them away. Who knows? Maybe this is the kind of thing that will resonate with those you know who are disconnected from God & His church. Maybe this will “change the way THEY think about church” & help them get connected. Give it a try! Single Mom/House Angels – Due to circumstances beyond our control, we will not be able to work on this location at this time. Please pick another location to go to. Also, below is a video to give you an idea of what will be doing this Sunday! I look forward to seeing all of you at Faith In Action Sunday – it is going to be an amazing day of God working in so many lives! Easter is Almost Here! Help us get ready! It’s always amazed me that although we know many of our friends are LOOKING for a church to attend on Easter, we still feel nervous when inviting them. Maybe it’s the fact that we all feel a bit nervous when talking about things that are important to us. The truth is, when you invite a friend to join you for church on Easter they very often will come, and even if they cannot, they’ll appreciate the fact that you thought of them. We have invite cards available at church for you to hand out. Check out my Facebook page & our Eagle Pointe Facebook page for videos, invites, etc that you can share. THANK YOU to so many of you who are helping blow-up Facebook by sharing invites & videos to “Easter at Eagle Pointe”! IT’S WORKING!!! We will have Easter road signs everywhere in our community you can use as a discussion starter (“Hey, have you seen…). Also, I will be sending out an e-mail invitation that you can easily send to all of your friends. 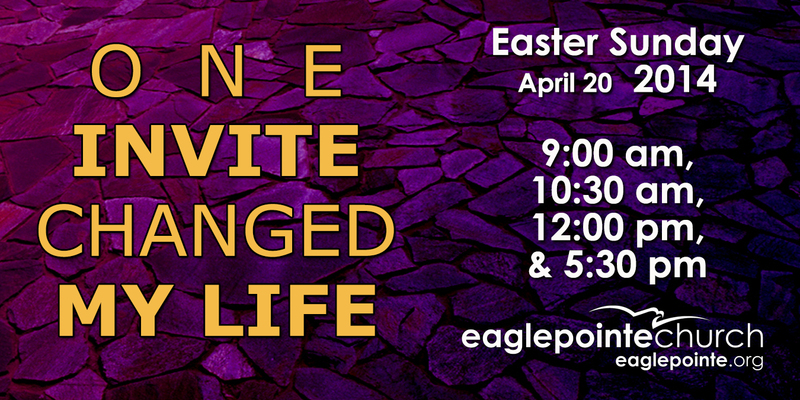 Our Eagle Pointe website also has information & the times of our Easter services. Again, more people will attend church on Easter than any other day of the year. Studies show that 3 out of 4 people would attend an Easter church service if they were invited by someone they know. Let me encourage you to step out of your comfort zone and really make an effort to bring as many people as you possibly can this Easter. Don’t forget our “One Invite Changed My Life” Challenge. Offer to pick them up and drive them here. (In fact, carpooling will help with parking!!!) Don’t just invite – BRING them with you! 2. Come to worship and serve this Sunday! If your friends are meeting you here rather than riding with you, make plans to worship in either the 9:00am or 12:00pm hour & then serve in another hour. We will need lots of help in the children’s ministry and host team – if you are able to help out please contact Tim Roman for Host team – Lisa Skelly for Elementary ministry or Baby/Preschool ministry A.S.A.P. 3. Help us free up seats & parking spaces. Parking WILL be an issue this Easter weekend! Please help us by carpooling if at all possible (your family doesn’t need to arrive in 2 or 3 cars separately). Volunteers (especially those who will be here for 2 or 3 services) – please pack out our back gravel lots behind the church. People not being able to find a parking spot does not make for a very good 1st impression. ***AND – please attend our 9:00am or 12:00pm celebrations. Most visitors will come at 10:30am & we do not want them to have difficulty finding a seat or parking space. 4. Help out in any way that you can. ***Remember: Studies show that most visitors to a church will make up their mind within the first 8 minutes as to whether they are ever coming back again. Let’s do absolutely everything we can to get them to come back again. 5. Personally celebrate the Good News of Easter starting today. Just think of it: because of Easter our past is forgiven, our life is worth living and we have a future in heaven! Romans 3:22 says, “We are made right in God’s sight when we trust in Jesus Christ to take away our sins. And we all can be saved in this same way, no matter who we are or what we have done.” Start praising God & celebrating today & every day! PS. 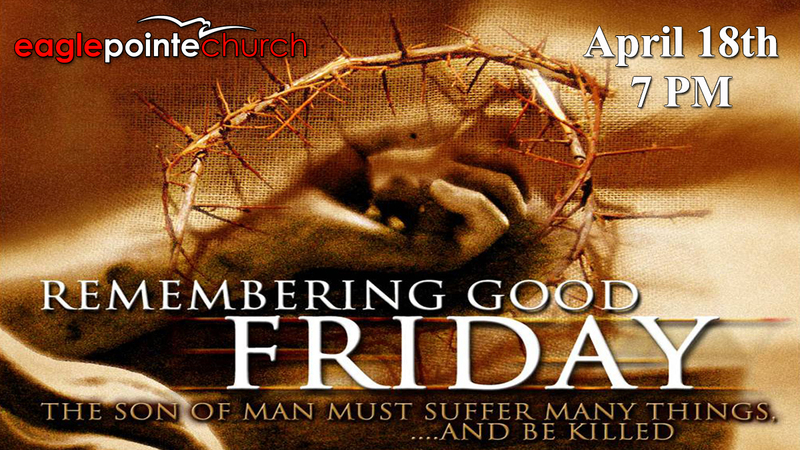 DON’T FORGET ABOUT OUR GOOD FRIDAY WORSHIP & COMMUNION SERVICE ON FRIDAY EVENING AT 7PM.